Burdetts Scrub is a 25 ha government owned conservation park which is bisected by Merchants Road and a 250 metre section of Sixth Creek. Although there had been some attempts at weed control in the past by the Friends of Kenneth Stirling Group, particularly along the watercourse, the park was virtually inaccessible until a bush-fire in May 2013 significantly reduced the weed mass and opened up access. A detailed report was prepared by University of Adelaide consultants on behalf of the Natural Resources Adelaide and Mt Lofty Ranges in August 2014. This report identified the many native species represented in the park, but also significant infestation with under-storey weeds such as broom and blackberry which had germinated after the fire. The fire provided a unique opportunity for weed management. However funds were not available for the recommended follow-up weed control until generous private donations were made to the Sixth Creek Group for this purpose. This ‘seed funding’ of $5,000 was matched in following years by grants from the State Government. Ongoing private donations totaling $5,000 a year have continued to support the project. These funds have allowed work beyond the resources of volunteers, in particular extensive weed spraying in steep and difficult terrain. The significant improvement achieved as a result, which is clearly evident, has inspired ongoing participation by the local community and friends of Kenneth Stirling members at working bees. 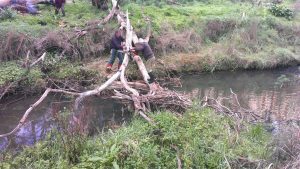 Activities to date have included clearing blockages in the watercourse and hand weeding to encourage microlaena stipoides weeping grass regeneration. 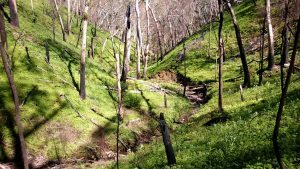 In 2015-16 further practical assistance was provided by the federally funded Green Army and the Adelaide Hills Council. 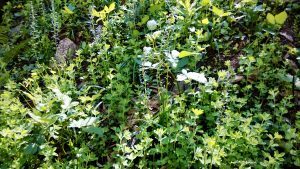 Burdetts Scrub now demonstrates the significant environmental improvement opportunity that a fire offers provided subsequent mass germination of the weed seed bank is addressed. 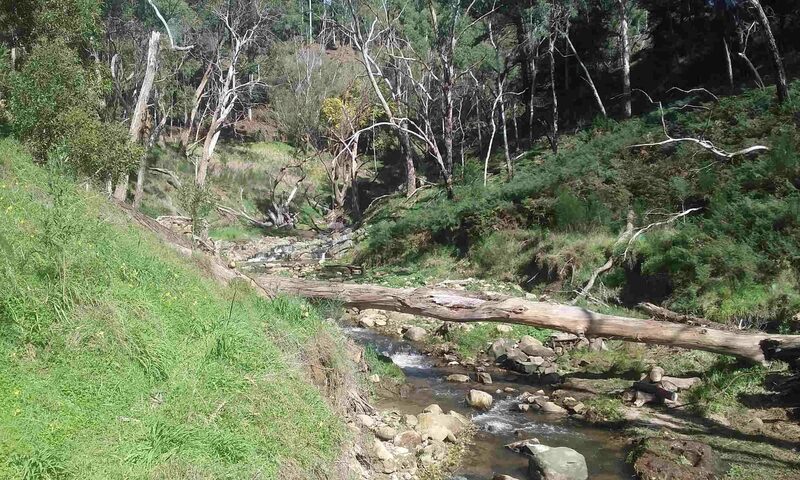 The Sixth Creek watercourse is now a much improved free flowing stream which was resilient to the effects of major floods in September 2016 .